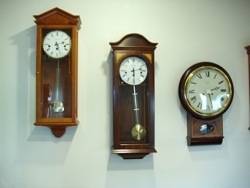 Welcome to David Nidd Jewellers, watchmakers and silversmiths. 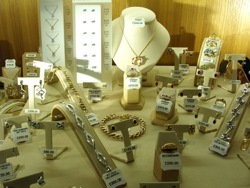 Our shop in Belper, Derbyshire has a wide selection of high-end jewellery including quality gold, silver and pewter. Please visit our shop for personal attention where David Nidd or one of his knowledgable assistants will find you the perfect piece of jewellery for your needs. 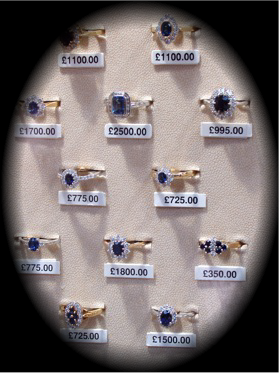 We sell medium to high-end jewellery at very good value prices, including diamond rings, wedding rings, coloured stone rings, valuations, repairs to high quality jewellery, watch repairs, quality clock sales. 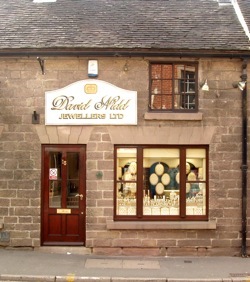 After 34 years of trading in Derby, David Nidd (Jewellers) Ltd has moved to Bridge Street, Belper, Derbyshire. 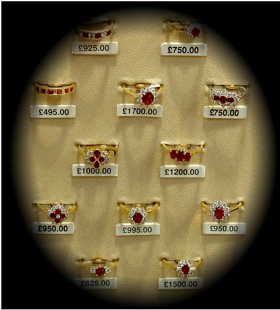 David has a lifetime of experience in the jewellery trade and a very loyal customer base.